A new publication featuring members of the SLR network, Heavenly Acts – aspects of performance through an interdisciplinary lens, is now in the final stages of publication. News on the publication date will follow soon. We are pleased to announce the recent publication of a volume edited and written by members of the SLR network. ‘Faith and Language Practices in Digital Spaces’ is published by Multilingual Matters. A review can be found here. In Auckland, New Zealand on June 27 at Sociolinguistics Symposium 22, a colloquium will take place honouring the memory and work of Tope Omoniyi. Today and tomorrow in Murcia Spain at the Sociolinguistics Symposium 21, an SLR panel is running organised by Brian Bennett. The discussant is Tope Omoniyi. a group of researchers focused attention in a concerted way on the topic. 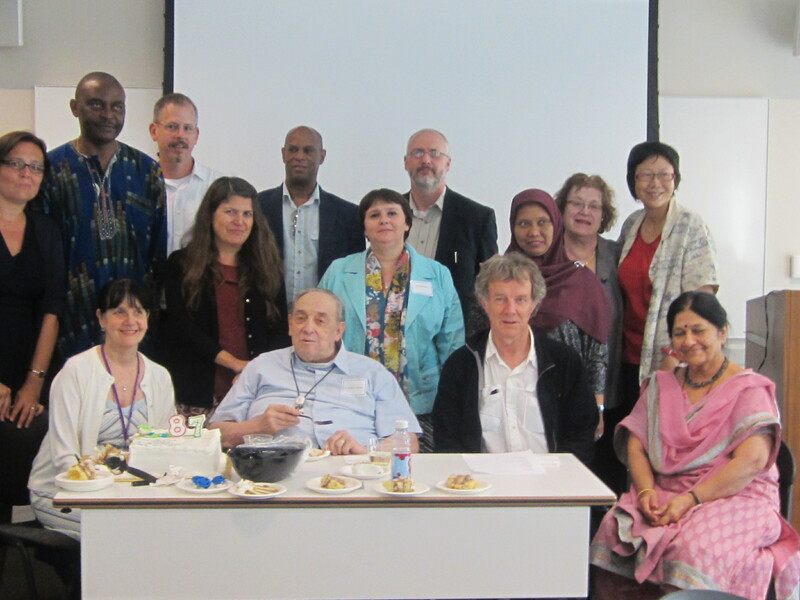 That effort resulted in the volume Explorations in the Sociology of Language and Religion (Omoniyi and Fishman 2006), which included Joshua Fishman’s foundational ‘Decalogue of basic theoretical perspectives for a sociology of language and religion’ (13-25). The past decade has seen further conference sessions (e.g., Berlin 2012, New York 2013, Jyväskylä 2014, Hong Kong 2015) and publications (e.g., Rosowsky 2008, Omoniyi 2010, Bennett 2011), as well as the development of a research network and website (sociologyoflanguageandreligion.com). Mention should also be made of a two-year project funded by the UK Arts & Humanities Research Council and spearheaded by Andrey Rosowsky and Tope Omoniyi entitled, ‘Heavenly Acts: aspects of performance through an interdisciplinary lens.’ Yet, much remains to be done. For one thing, potentially valuable resources in religious studies and the sociology of religion (e.g., Sharot 2001, Tweed 2006, Riesebrodt 2010, Yelle 2012) have yet to be tapped. This colloquium returns to Fishman‘s ‘Decalogue’ in order to take stock of the current situation. Fishman himself acknowledged that his ten points ―need to be fleshed out, modified, selectively abandoned or added to in order that a theoretically anchored and empirically supported sociology of language and religion can ultimately develop‖ (2006: 24). Presenters attempt to respond to this challenge. 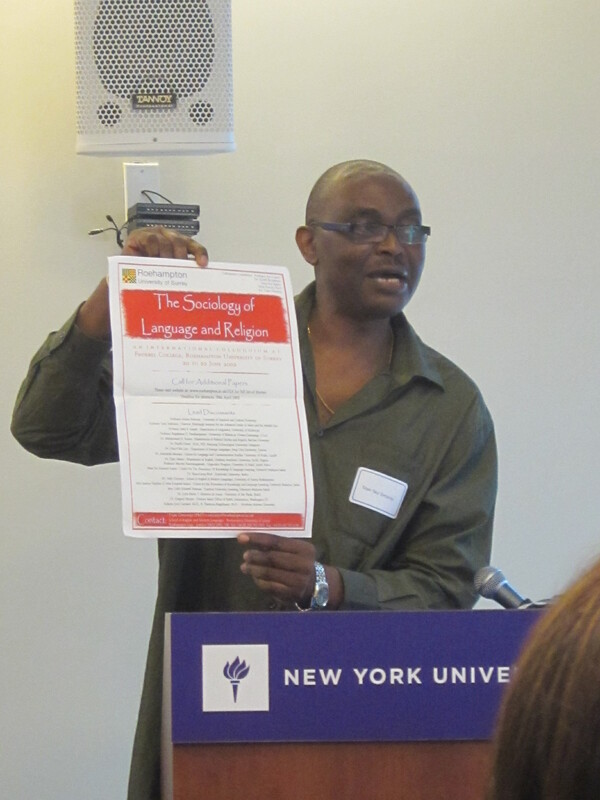 Traversing a range of languages, religions, and practices – from Yiddish to Tamil, Hinduism to Russian Orthodoxy, Islamic poetry to Maya prayer – the colloquium aims to consolidate progress made over the past decade and chart new pathways in the sociology of language and religion. It should be noted that questions of linguistic prestige are absolutely central to the religious domain – as Fishman already made clear in a number of theoretical propositions. By revisiting his ‘Decalogue’ in light of new data, questions, methodologies, and theoretical resources, the colloquium makes an important and distinctive contribution to the general theme of the conference. There is now a revised version of the poster for the Roehampton Heavenly Acts II March 21-22 symposium, Language, Performance and Identity in Faith Contexts. The third symposium of the Heavenly Acts project has now been confirmed for Friday and Saturday November 25 and 26 2016. It will be held at the University of Alberta in Edmonton, Canada. The provisional theme for the symposium is ‘Performance, faith and the expressive arts’. Many thanks to Michael Frishkopf for facilitating this. More details on this event will be available shortly.